Fully licensed and approved by Newcastle United FC themselves, you can be assured of quality and authenticity. 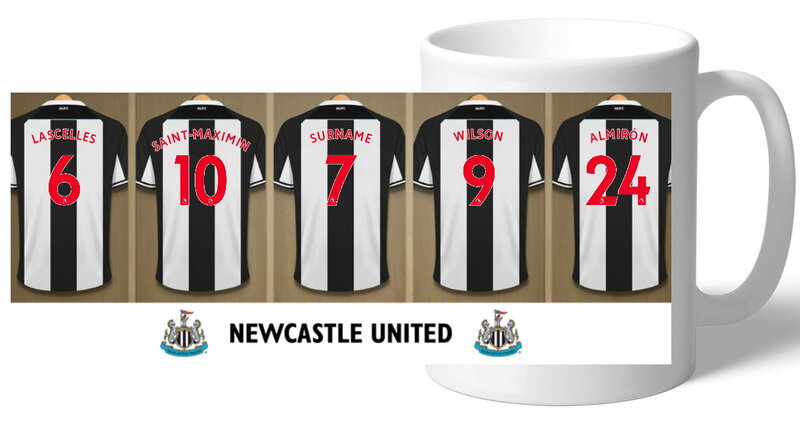 Our unique design allows your selected name (max 12 characters) to be merged onto the centre dressing room shirt, exactly matching those of the other Newcastle United FC players. Recipients of all ages will love seeing their name on a shirt in the Newcastle United FC dressing room, right next to those of their heroes. One of our best-selling Newcastle United FC gifts of all time, this personalised dressing room print is the ultimate must-have gift for any Newcastle United FC fan. One of our best-selling Newcastle United FC gifts of all time, this personalised dressing room photo is the ultimate must-have gift for any Newcastle United FC fan. Based on our best-selling Newcastle United FC gift of all time, this personalised legends Dressing Room Shirts print is the ultimate must-have for any Newcastle United FC fan. Based on one of Newcastle United's greatest teams of all time, this 'The Entertainers' Dressing Room Shirts print is the ultimate must-have for any Newcastle United FC fan. 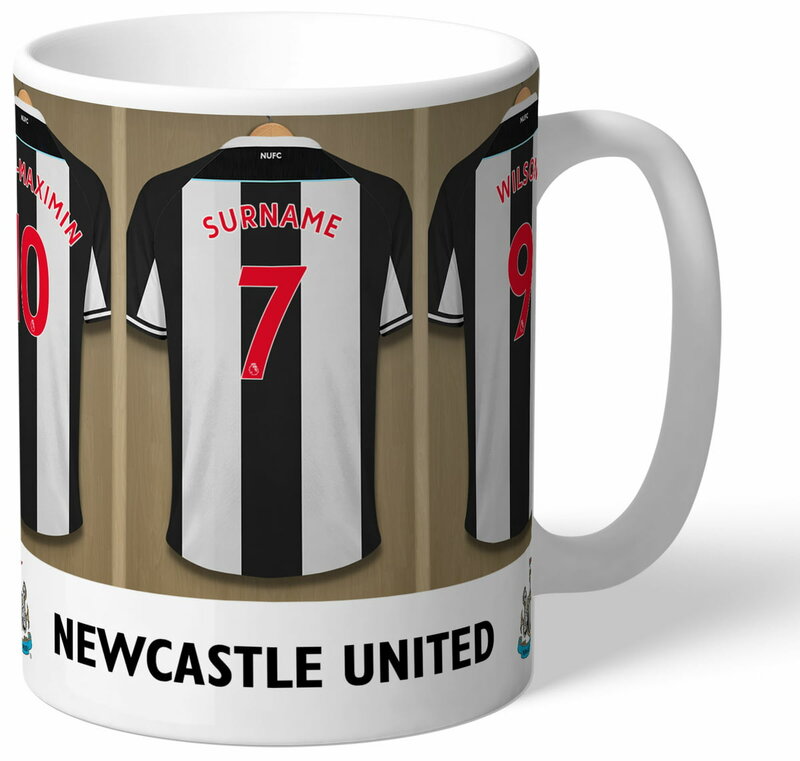 This is a fabulous present for any Newcastle United FC fan and is approved and fully licensed by the club themselves.